Sulawesi – known as Celebes in past times – is an odd shaped but amazing island in Indonesia. Indonesia has many thousands islands, ranging from big to tiny; Sulawesi is the fourth biggest island (and 11th biggest in the world). To many travelers Sulawesi represents the ultimate ‘off the beaten track’ holiday. Here you can experience a different kind of Indonesia all together. Mass tourism has not yet arrived in Sulawesi, though some tourist highlights attract many thousands of tourists each year. A trip to Sulawesi basically boils down to the following attractions & activities: Scuba diving, jungle trekking, cultural splendor and volcanoes/highlands. Southern Sulawesi with capital Makassar has many cultural highlights and you can also find the stunning Wakatobi Marine Park in this region. Central Sulewesi is known for its beautiful highlands with pleasant climate. 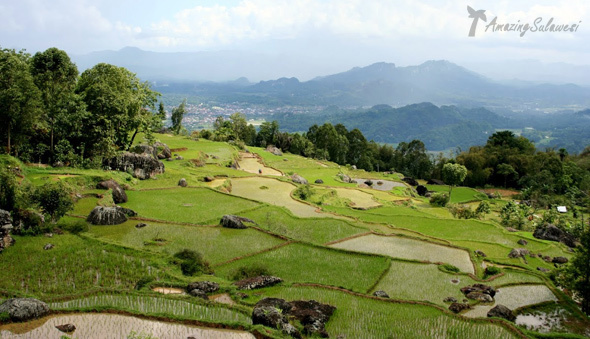 Here you also find a few of the biggest attractions the island has to offer: Tana Toraja, the Togian Islands and Lore Lindu National Park. Northern Sulawesi is best known for its splendid diving conditions. There are three marine parks where you can experience world class diving; Bunaken, Lembeh and Bangka. Here you also have a couple of volcanos and lakes, and the Minahasa tribes in the highlands (near Tomohon). Northern Sulawesi also has plenty of places to spot wildlife. 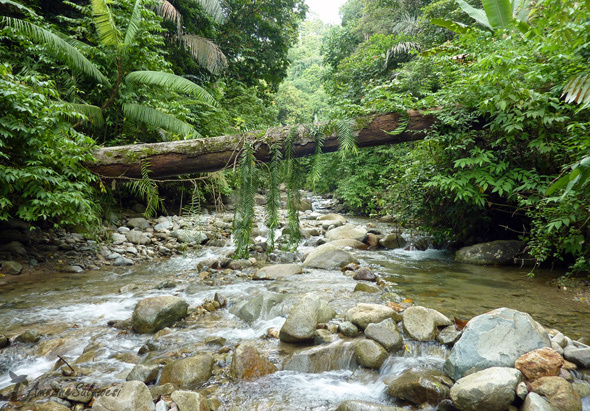 The most popular national parks in this region are: Tangkoko National Park and Bogani Nani Wartabone National Park. Sulawesi has numerous national parks, and three in particular are well worth a visit; Lore Lindu National Park, Tangkoko National Park and the biggest of the three; Bogani Nani Wartabone National Park. Of these three a visit to Lore Lindu NP probably gives you the best jungle experience. All three parks offer great hikes, an abundance of wildlife, guided tours and the option to stay overnight. Tangkoko is easiest accessible for tourists, as it’s only a 1,5 hour drive from Manado. Getting to the other two parks requires a bit more traveling.